Each week it seems that some major corporation or another is having serious issues thanks to the leaks of some malicious hacker. Hearing stories like this can make it seem difficult, if not impossible, for individuals and smaller organizations to ensure their own cybersecurity to keep their own information private; after all, if the big guys can’t manage, then it can be hard to see the point. This defeatist attitude is just what the criminals want. However, the truth of the matter is there is plenty you can do to improve your cybersecurity, right now. 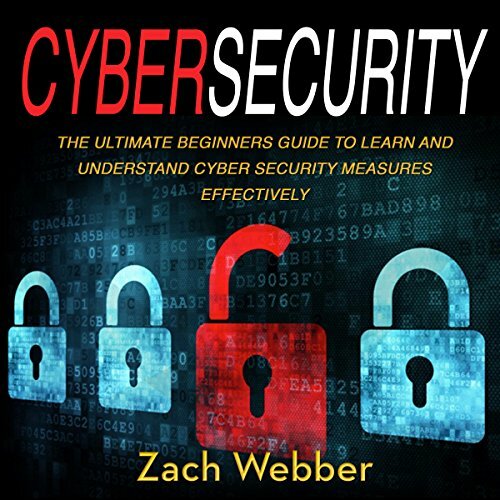 If you like the sound of that, then The Ultimate Beginners Guide to Learn and Understand Cybersecurity Measures Effectively is the book you have been waiting for. While everyone knows that they need to exhibit some level of caution when interacting with the Online world, with the bounds of technology changing all the time, this can be easier said than done. 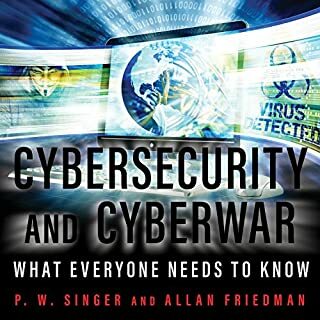 Luckily, this is where this book comes in to discuss the types of cybersecurity you should care about and how to put them to use for you in a way that is proven to be effective in both the short and the long-term. So, what are you waiting for? Take control of your technological future and buy this book today. 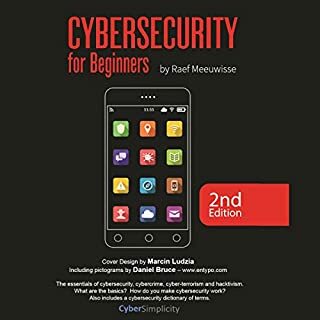 This book does provide the very basics of IT Security, but narrator is very dry. Oh my. What to say. I work in the industry and this is a decent overview for people who are clueless about the dangers out there. So, to be honest, most people... But that's it. There are no details. General overview only really. A good general overview to be sure. I gave it three stars just for its potential to be good for people who don't know anything about cyber threats. Otherwise, don't waste your money. The narrator was just awful. It seemed he started out way better than he finished too. So bad. While the material in the book was OK for its length, the reading was poor. The cadence of the reader, as well as his unfamiliarity with the material prior to his reading, distracted from the material. Pretty decent introduction to CyberSecurity concepts, but the narrator's pauses and stressed words were unnatural/distracting. Simply put, easy to understand some basic concepts on security industry to motivate you get started. This book is the very informative guide. The author has done a great job. It is very well written and very clear, so it is easy to understand about this subject. 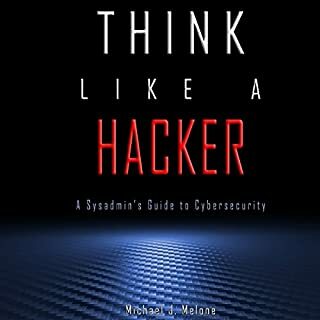 I personally suggest this book to all the users, who have interest in cybersecurity. Cyber Security Basics is a high-level tour through the field of Information Security. The author strives to strike the right balance of how much information to present. extremely basic stuff that can be easily found on Google in five minutes. forget it. 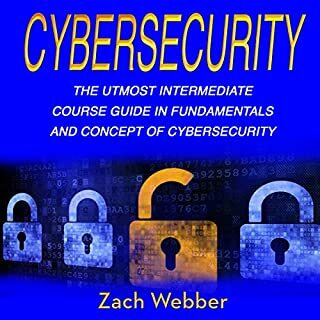 This book will help you in cybersecurity subjects. The basics are easy to understand. It's definitely for beginners, but you'll have enough knowledge to get by when you finish it. Loved the book and listening to Zach Webber was thoroughly enjoyable. I will definitely be following the strategy and advice given here. The author has a very casual writing style that invites the reader into the topic of conversation. There are no hype or marketing shenanigans; only real-world advice from a regular guy who has become massively successful in applying the fundamentals of his Cybersecurity. Truth be told, this book is one of the best I've ever read. Author does a spectacular job of informing the readers on all matters Cybersecurity. 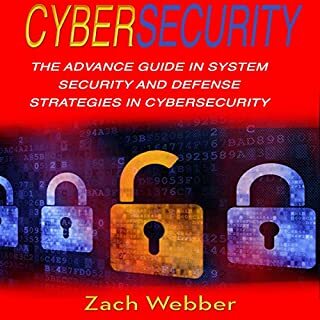 This book covers quite a bit of ground: from fundamental security concepts to more advanced and technical topics. For a non-practitioner with an interest in security, this is the perfect introduction. The book begins with a brief explanation about the history of the internet which I really enjoyed. The authors highlights that the most difficult aspect of forensic analysis is attribution. The Technically Savvy will find this useful, too, to help explain their role, as it it sets out everything in language that the non-technical understand. 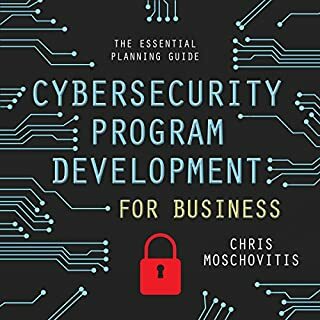 This is a great beginners guide to cybersecurity. There is a constant and ever increasing threat to our online security, so the better prepared we can be the safer we can become. I recommend this to everyone who uses any form on online system, computers, tablets etc. Well researched and logical book to follow.